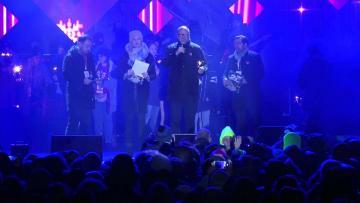 A knife-wielding assailant stabbed the mayor of the Polish port city of Gdansk in front of hundreds of people at a charity event on Sunday evening. The mayor, who spent five hours in surgery, succumbed to his injuries on Monday. Paramedics resuscitated Adamowicz at the scene before rushing him to hospital for surgery. He subsequently succumbed to his wounds. "Despite all our efforts, we failed to save him," Dr Stefaniak, said, quoted by the Polish PAP news agency. Adamowicz was mayor of Gdansk for two decades and the Civic Platform had supported his re-election in 2018 municipal polls. "There is hope but his condition remains serious," Polish President Andrzej Duda had said on Twitter following the attack.